O my Jesus, you who are the Way for those wandering about, the Truth for those who are in doubt and the Life for those who die in you, you be our Way, Truth and Life. 4 O Jesus, you are the only way to salvation: help us to follow your path. 4 O Jesus, you are the only Truth: free us from every doubt that tempts us. 4 O Jesus, you are Life: free us from earthly things, so that we can imitate the same Love you have. 10 Our Fathers, 3 Hail Mary’s and 3 Glory Be. [Message received by Rosario on October 7, 1987]. 4 May Mary most holy give us the example of humility, purity and goodness. 4 May Mary most holy give us the example of prayer, obedience and sacrifice. 4 May Mary most holy give us the example of faith, joy and holiness. May your Heart, which burns of love for us, o Mary, be a flame that enkindles our hearts, which are cold and indifferent. May our immense love, o Mary, be a continuous desire of you and of Jesus. Impress on us true sentiments of love. O Mary, your sweetness is held in your maternal Heart. Remember your children when they are in sin. Give us, o Mary, by means of your gentle Heart, the grace of the healing from every spiritual evil that is a hindrance for us. 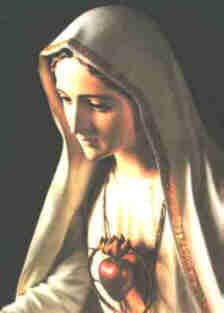 Convert us, o Mary, so that in you we can find goodness, forgiveness and holiness that live in your Immaculate Heart. 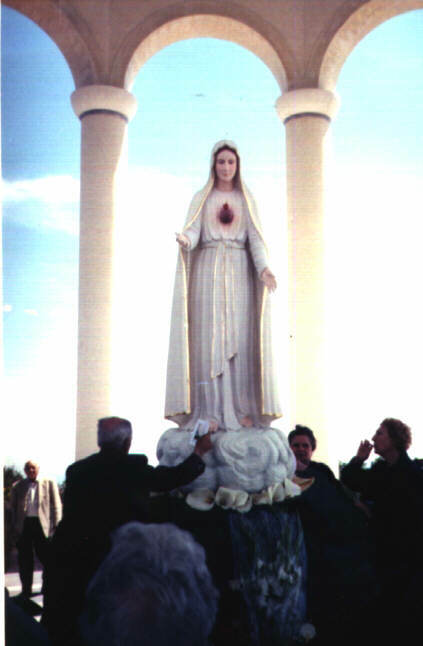 Take us to Jesus, o Immaculate Heart of Mary. Amen. 7 Our Fathers, 7 Hail Mary’s, 7 Glory Be’s to the Father and the Nicene Creed. [Message received by Rosario on October 10, 1987]. O Lord, this person, prostrated here before you, humbly asks you what he ardently desires. O Lord, impress in this heart that the most important thing is to be healthy in the soul. O Lord, your holy will be done on him. But, if your will is different, give him the strength to carry his cross. 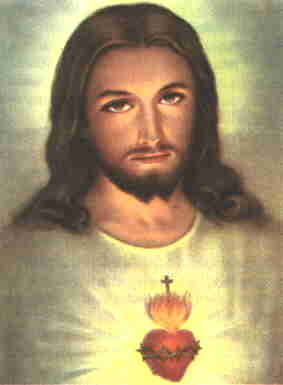 We pray to you so that we too, who are imploring you for him, can be pure in our hearts, and can pray the way you like. Give your protection and relief to his suffering, so that through him your most holy name be glorified. Amen. O Mary most holy, we pray to you so that you too intercede for him. 3 Our Fathers, 3 Hail Mary’s, 3 Glory Be’s. O Jesus, you are merciful to all your children who sin, you who gave your Heart for us, turn your eyes on us. With our sins, we have crowned your Heart with thorns: see to it that all men love one another, and enjoy interior peace, and peace among themselves. Show us - and make us imitate - your own love. We desire, by means of your sweet Heart, your protection from every sin. Lord Jesus, you who can enter in every heart, call us, invite us, and don’t leave us. And even though we err, have patience, don’t be afflicted. Our heart is still closed to you: we haven’t understood you and we haven’t accepted you. But your Heart, o Jesus, is full of goodness: you understand us and accept us as we are. Lord Jesus, make us remember your sorrowful Passion, so that we will open our hearts and we will be aware that your most sacred Heart has suffered for us. Amen. 7 Our Fathers, 7 Holy Mary’s, 7 Glory Be’s to the Father and the Nicene Creed. Most Holy Mary, we have recourse to you who are the Mother of God and of mankind. (*) You have come to this place, to this rock: we all hail you, and imploringly we ask forgiveness for our faults, which afflict us so much. Most Holy Mary, Our Lady Queen of Peace, it’s wonderful to invoke you in order to experience your maternal love, which reaches us through your Immaculate Heart. In this period of our life, which is so tormented, we turn our heart and our soul to you: give us that peace of which you are the Queen. The afflicted souls need to be consoled; the broken families need a true union. The nations that live in terror among themselves need to find again mutual forgiveness and faith; divided mankind needs peace. Your Divine Son has called us brothers and sisters and has given us peace, but the world perseveres in its errors and discords. Protects us, o Mary, you are Mother of the Church: remember the needy who are afflicted in soul and body, give us many vocations, sanctify the priests and the consecrated souls, bless the Pope and the Bishops. It is for this time of great suffering that we consecrate ourselves totally to you. We entrust you with all our material and spiritual needs. We entrust you with the whole humane race, which is full of hope, but also full of affliction and anxiety. But above all we pray to you for the conversion of poor sinners and for peace in the world. Listen to us, we beg of you. Don’t despise our prayers, but be benign, and turn your merciful eyes on us. May the infinite power of the love of God win again, and may the hope of the triumph of the Immaculate Heart – by which you are called, and honored as, Queen of Peace – fill our souls. Amen. (*) If this prayer is not recited on the rock, you can say: "You have appeared at the rock of Belpasso: we all hail you…."